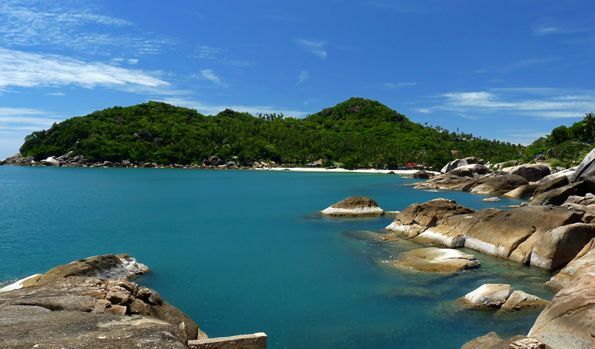 Thongtakian (Silver) Beach, a small cove between Lamai and Chaweng on the east coast of Koh Samui, is often tagged as one of the most idyllic and relaxing beaches on the Island. 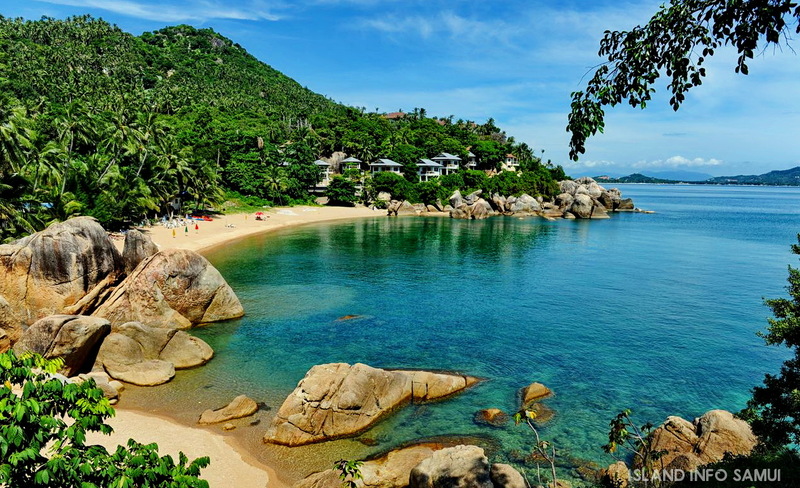 Thongtakian Beach is 2 kilometres south of Lat Koh Viewpoint and about 4 kilometres north of Lamai, and is about a 15 minute drive from the centre of Chaweng. The beach is surrounded by spectacular natural rock formations and a stunning coconut tree lined tropical hinterland. Descending these surrounding cliffs you will pass view-points that give you breathtaking views of the sparkling turquoise waters , squeaky white sand and palm tree laden tropical landscape that collectively make this unspoiled beach such a popular destination for both locals and tourists. 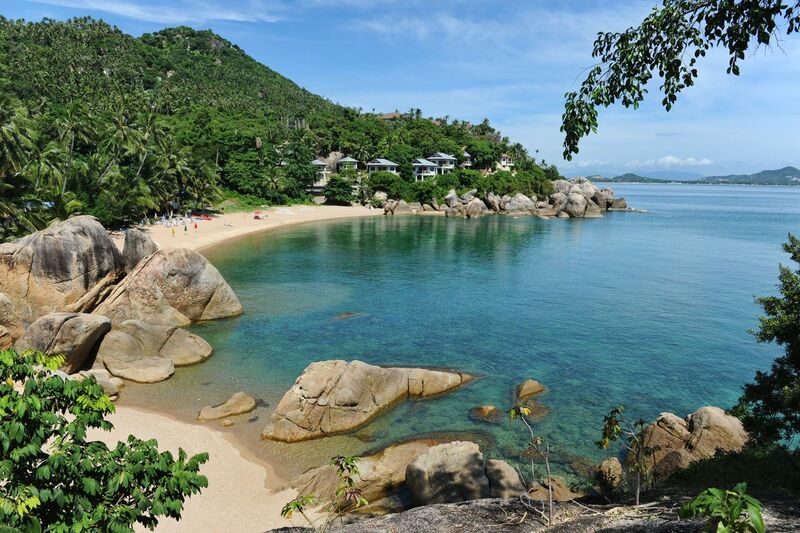 There are a few small resorts at Thongtakian Beach such as Promtsuk Buri, Thongtakian Resort, Crystal Bay, and Samui Yacht Club.